Saracens came up with a clinical performance at Sixways on Saturday as they went on to beat Worcester Warriors 22-38 to book a berth in the final of the Premiership Rugby Cup. Tom Whiteley started the proceedings with a sixth minute try after he capitalised on a loose ball in the midfield and Alex Lozowski kicked the conversion to give Saracens a seven point lead. The second try for Saracens came by the 11th minute when Rotimi Segun dotted down. Lozowski missed out on the conversion but kicked back to back penalties to take them to 18 unanswered points. Just before the break, Scott van Breda kicked a penalty goal to help Worcester get off the mark as the teams ended the first half with a 3-18 scoreline. The home side showed better intent at the start of the second half as they got their opening try through Nick David in the 44th minute to reduce the gap to 10 points but once again Lozowski kicked two more three pointers to make it 8-24. Tom Howe with his 57th and 80th minute tries provided Worcester a glimmer of hope but further touchdowns from Max Malins and Sione Vailanu ensured Saracens completed a 22-38 victory to reach the final of the tournament. 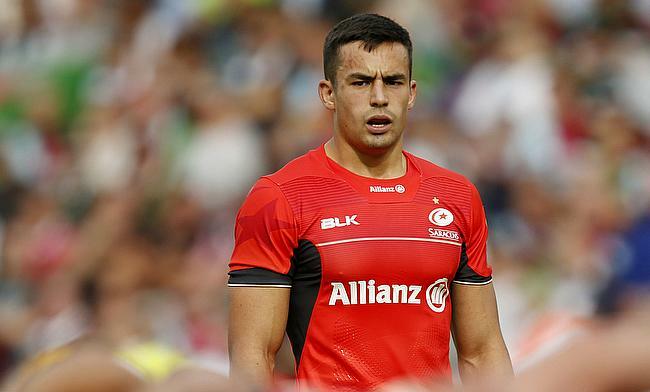 Saracens fly-half Max Malins: “That means a lot to us. I thought we played the game really well, especially in weather like this, our defence got us the result today. “I ran out of wheels at the end but I thought we scored some good tries. Two were from counter-attacks and two were from set-plays. Worcester Warriors centre Wynand Olivier: “Saracens are a class outfit. They played well, especially in those conditions.